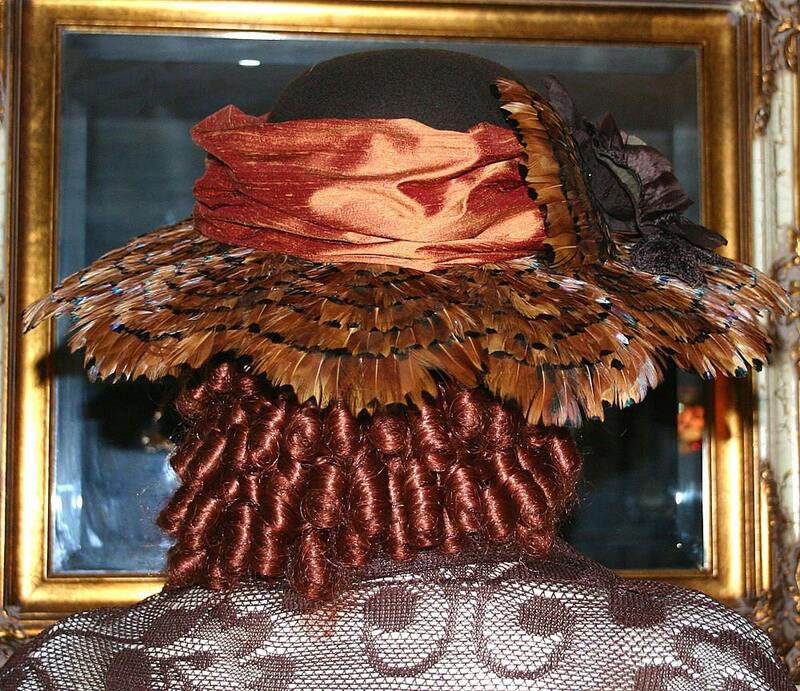 Edwardian Hat, Kentucky Derby Hat "Mademoiselle Gabrielle" is perfect for Downton Abbey Tea party! It's designed over a brown wool base. 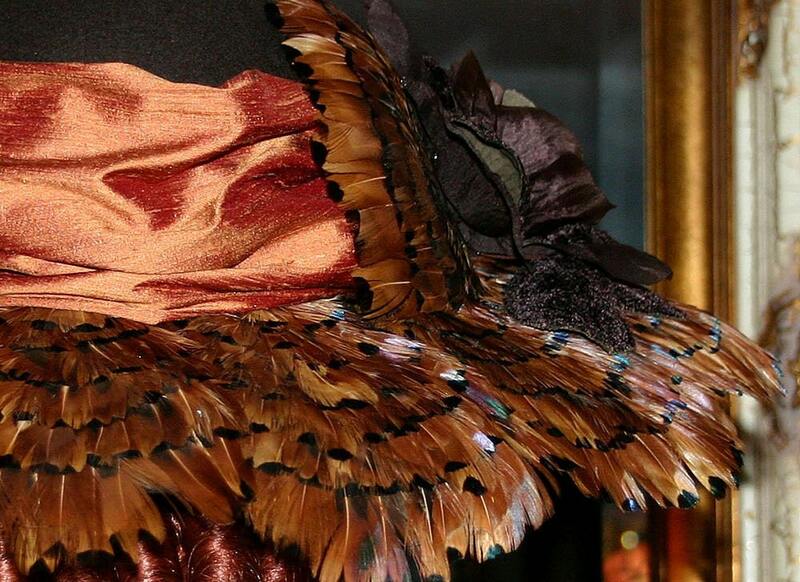 The brim of the hat is completely covered with tiny delicate rusty brown pheasant feathers. 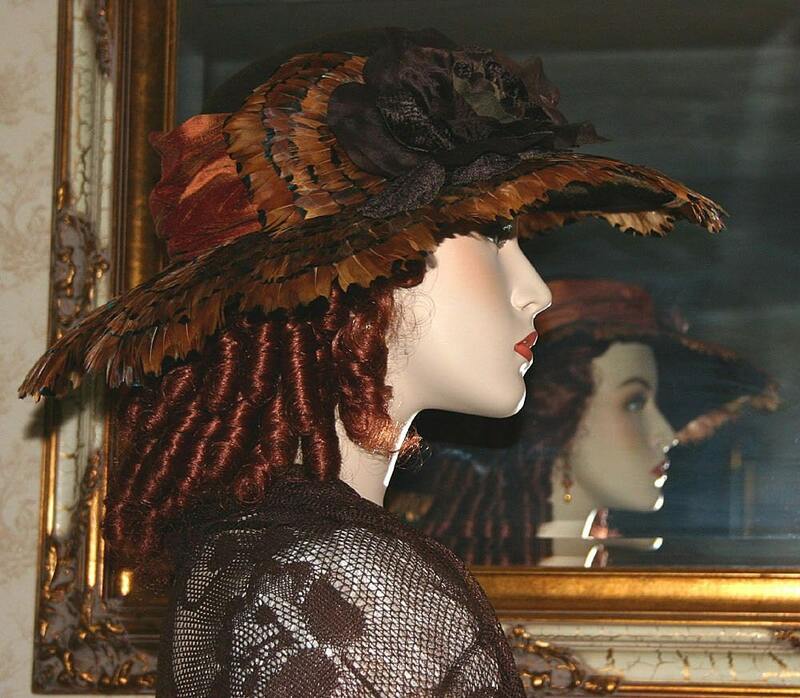 Cider colored silk wraps around the crown of the hat and is accented by a huge velvet and organza rose with a backdrop of pheasant feathers. 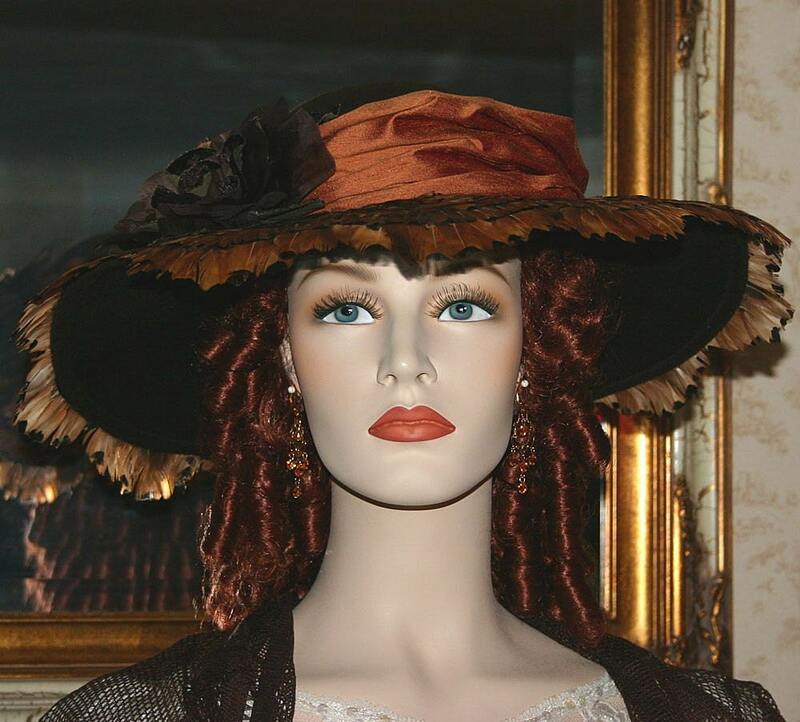 Perfect re-enactment hat for an Edwardian Tea Party, Titanic event, Somewhere in Time Weekend or any occasion when you may need a beautiful tea hat. VERY, VERY ELEGANT! 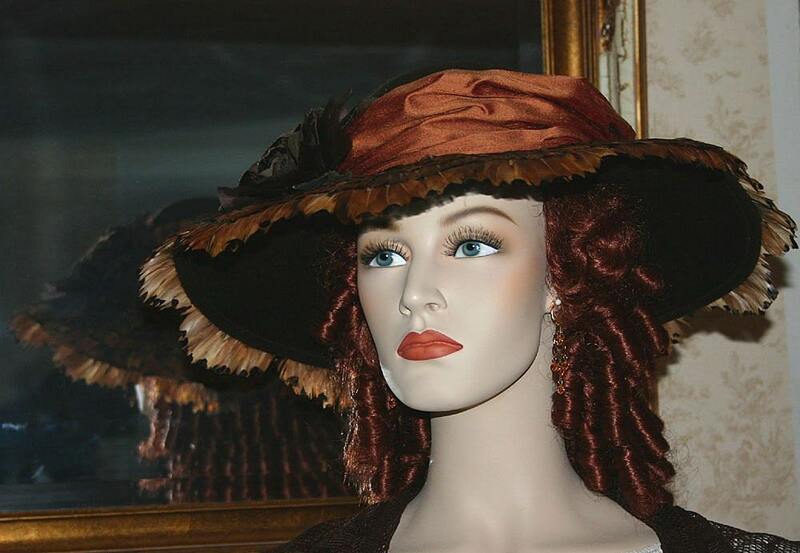 Diameter of Hat 16 inches plus about 1 inch in feather around the edge for a total of 17 inches.